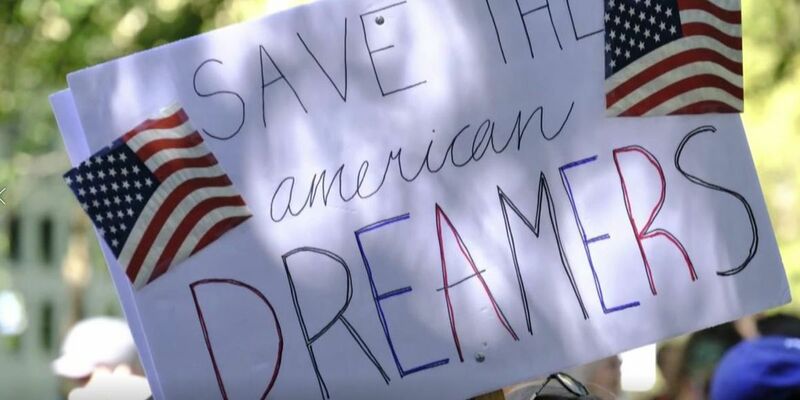 SURFSIDE BEACH, SC (WMBF) - President Donald Trumps plans to rescind work permits for young undocumented immigrants and bring an end to the Deferred Action for Childhood Arrivals, or DACA, program. On Thursday, advocates in the Grand Strand are speaking out to bring a voice of change for local DACA immigrants. Since taking office, Trump has made cracking down on illegal immigration a top priority. Part of that includes removing DACA, which has allowed some who have entered the country illegally to remain here under work permits. "We want to be on the right side of history," Margaret Hiller said. May Barr, now a U.S. citizen, moved here six years ago from Cairo, Egypt. She said becoming a citizen was both challenging and emotional. "The stress of being there, the stress of preparing everything, worrying what if something is missing," Barr said. As of 2017, approximately 800,000 individuals were part of the DACA program. To be eligible, illegal immigrants must have entered the United States before their 16th birthday and prior to June 2007.